Are @AlanShatterTD and @EndaKennyTD out-Nixoning Nixon on #gsoc ? In asking a High Court Judge to re-examine and review the documentation and material already available the Cabinet, and in particular the Taoiseach, Enda Kenny and the Minister for Justice and Defence, Alan Shatter are attempting to out-Nixon Nixon. 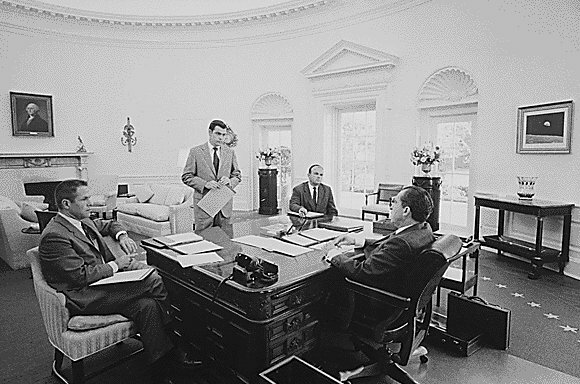 Back in early 1973, as the scandal of the Watergate Break In and Cover Up began to break, the then US President Richard M Nixon, in conjunction with his advisers John Ehrlichman and Bob Haldeman, devised a plan to get Nixon’s White House Counsel John Dean to write a report for the President on Watergate that “basically clears the President and White House staff of involvement”. Their plan was that they could cite Dean’s Report as what they had relied upon and that they could blame Dean for deceiving them. While Dean did initially agree to go to Camp David at the President’s request to write such a report, but he soon came to realise that he was being lined up as the scapegoat and decided not to complete the report. Nixon sacked him shortly afterwards, on the same day as he announced the resignations of Ehrlichman and Haldeman. While the Government is not asking a retired High Court Judge to become is scapegoat, it does seem to be looking to get a supposedly independent review that it determines will verify its own jaundiced version of events. How else can we interpret the fact that while the Justice Minister was indicating how the review would operate he announced that he had decided on the review as he had received a review of the Verrimus report from RITS, a Dublin based IT security firm, that concluded that there was “no evidence at all”. So, even as the Minister announces the review he sets out his view on what it should, if not must, conclude. This, as with Nixon’s Dean Report, is all about attempting to draw a line under a growing political scandal rather than getting to the core of what caused it: allegations of bugging at GSOC’s premises? Why opt for such a limited review, reporting to the Justice Minister and with Terms of Reference set by the Minister instead of an inquiry under the Commissions of Inquiry legislation? Today’s Cabinet decision, albeit deeply flawed, runs counter to last week’s comments by both An Taoiseach and the Justice Minister and suggests either 1). A realization that the government’s spinning on the subject is not having the same impact now as it had at the start, and/or 2). Pressure from Labour members of the Cabinet growing tired of defending the Justice Minister. The first tentative step on the path to a possible Croke Park II deal was taken last week when Public Sector unions and management sat down together for preliminary talks. While reaching any form of deal will pose difficulties for negotiators on both sides, the management side has a particularly difficult delicate balance to strike. Though their political masters in Cabinet may be signalling their support for a deal they also know that most Fine Gael back benchers would be just as happy if no deal was reached. The public service is just one more issue that divides back-benchers from both parties, with many of FG’s newer intake of TD’s echoing the “small government” rhetoric heard from US Republicans and Tea-Partyers. It is not an uncommon view in these difficult times. There are many siren voices around attacking the public service and portraying it as riding on the back of a shrinking private sector. Sadly, the public service often leaves itself open to these onslaughts with daft examples of wasteful spending and bad work practises. But the danger lies when occasionally justified criticisms are distilled into a dogma. Yes, the public service is in need of reform and modernisation, but the one dimensional demonizing of the entire public service we hear from some quarters will not help reform anything. Nor will the “everything is just fine as it is” defence we hear from various public sector unions. Public service reform is possible without hyperbole or blood on the carpets. With the right management and leadership the public service is capable of reforming and modernising itself. I know, because I was there when it happened. The reform and modernisation of the Defence Forces over the past decade and a half is a model of how it can be done right. 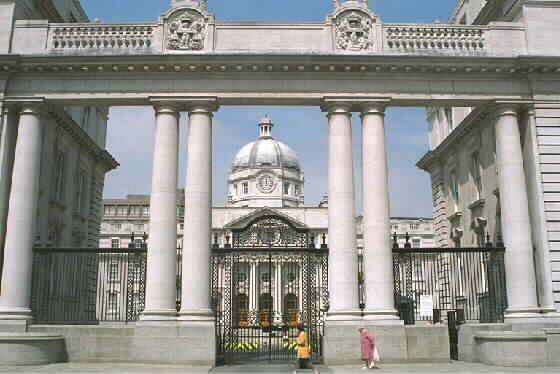 The 2009 Bórd Snip Nua report found that the Defence Forces were the only sector in the Public Service to reduce numbers during the Celtic Tiger. While the numbers working in the Public Service had increased by 17% between 2001 and 2009, the numbers working in the defence organisation actually fell by 8%, going from 11,808 down to 10,895 a drop of 913. The reduction in numbers in uniform was reflected in a reduction of numbers of civil servants in the Department. These payroll savings were invested in better equipment and improved training meaning that the Irish Defence Forces could do more with less. Perhaps the absence of outside influences, speculation and running commentaries, helped create the conditions for agreement – but not nearly as strong leadership, both political and military. We should now be finding ways of replicating this progressive model. Before coming into office the Taoiseach’s last big idea on the Defence Forces was that it should be running boot camps for young offenders. Doubtless he has abandoned this nonsense having spent two years seeing them close up, but their handling of the last round of barrack closures suggests that he may not yet have realised just how the Defence Forces be a model for public service reform. Resigning as a Minister is not something to be done lightly. You must weigh up the influence and input you are surrendering from having a seat at the table against the public acclamation you will receive. The applause and cheers will soon die down and you will be left standing on the outside while decisions get made without you. Though he is not a household name, Willie Penrose is a smart man. While he may have the bearing and manner of a classic rural parish pump TD, he is a smart guy. An experienced and successful Barrister, Penrose knows what he is doing. Gilmore knew that that the future of Columb Barracks in Mullingar was a red line issue for Penrose when he nominated him as a Super Junior – so why did he proceed with the appointment? This government was only a few days in office when speculation started that they may close some more barracks. Further barrack closures have been a fixation with some senior civil servants and military figures in Defence. Shortly after I entered the Department of Defence in October 2004 a senior official popped into my office to discuss the issue of “barrack consolidation”. This I came to learn was the euphemism for barrack closures. There is a school of thought, among some in the Defence organisation, that we should have a much smaller number of super barracks – say three or four – located in the major cities, rather than the existing network of smaller posts across the State. While this would potentially be a little more economic and efficient, this has to be weighed with the popular support and positive PR generated from having more locally organised and based units. It is a demonstrable fact that recruitment is strongest in those areas where there is a military post. Even at the height of the Celtic Tiger for every general service recruit post advertised there were at least 5 applicants, while the Cadet competitions often saw 25 or 30 well qualified applicants for each vacancy. Local barracks and locally based army units form strong bonds with local communities. Use of barracks facilities, especially sports grounds, is usually offered to local community groups, particularly youth groups. The local army unit is always on hand to help out in the classic “aid to the civil power” type exercises – flooding, ice clearance, bad weather etc. While they are hard to measure on a civil servants excel spreadsheet, these strong local bonds are vitally important and should not be thrown away lightly. The previous Minister, Michael Smith has closed six barracks back in 1998, though some of these properties had still not been disposed of almost six years later. Indeed it would take a further five or so years to deal with these. The estimated year on year savings from these 1998 closures was estimated to be in the region of €3.5 – 4.5m. These were “economies of scale” saving from reduced security, heating, lighting and other savings. If the current row over closing three or four barracks was just about that, I might be tempted to agree with it. But this is a mistake on all fronts. Alan Shatter says that given the choice between saving buildings and retaining personnel, he opts for the latter. A noble intention: if only that was the choice before him. If the planned closures go ahead the Defence Forces can kiss good bye to seeing their numbers ever rise back above 10,500 again. There are a number of reasons not to close these barracks. Their closure will hurt the local economies in Mullingar, Clonmel and Cavan just as much as any factory closure. There is no point the Taoiseach giving out to Talk-Talk management for the inconsiderate handling of that closure while his own Minister is planning to do the same thing. Where does the Minister propose to transfer the troops stationed in Mullingar, Clonmel and Cavan? Where is the spare capacity in the remaining barracks? We are already aware from the last round of barrack closures that the remaining barracks were full and operating close to capacity. To close these other barracks and to permanently move around 500 – 600 troops would require a considerable capital investment in additional facilities in Athlone, Finner andLimerick. This is not something that will appear overnight. Where does the Minister propose to get the cash to provide this additional capacity? Colm McCarthy’s famous Bord Snip Nua report found that the Defence Forces were the only sector of the Public Service to reduce numbers during the height of the Celtic Tiger. His report suggested a number of further small reforms, including a reduction in the size of the force by a further 500 to 10,000. He recommended this be implemented over a two year period. It was achieved within a year, well ahead of the target date. So what kind of signal do these further cuts – cuts that go beyond An Bord Snip Nua – send to others in the Public Service? This was a point that Brian Lenihan and Brian Cowen instinctively understood. Here is a part of the public service that has downsized, modernised and reformed itself beyond expectations and yet it gets singled out again for cuts that neither make sense nor add up. These barrack closures appear, on the face of it, to be gratuitous. The Defence Forces now do more with less. When it comes to real public sector reform the Defence Forces are a model of how it can be done right. These closures put that model at risk. 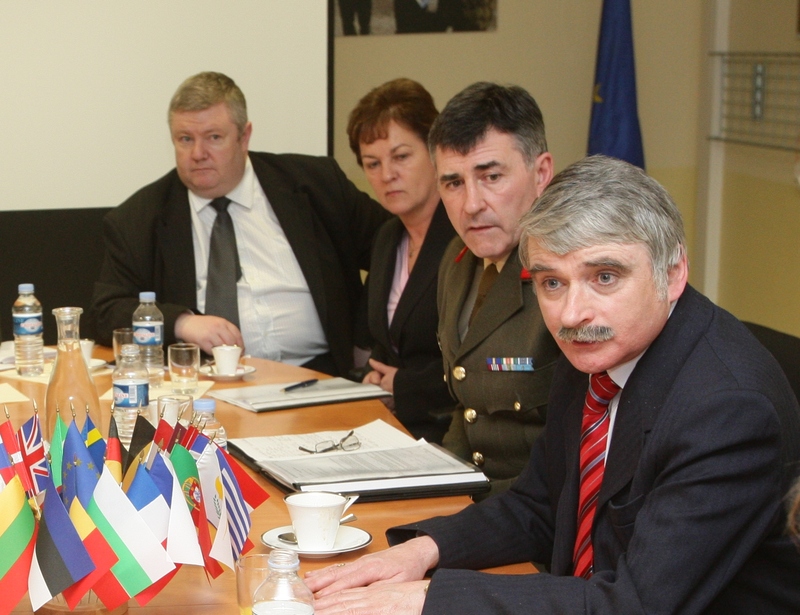 The investment in the Defence Forces made between 1997 and 2007 was a text book example of how to invest wisely and productively. Surplus property was sold and the proceeds invested in better training and equipment. While the numbers working in the Public Service increased by 17% over the decade of the Celtic Tiger, the numbers working in the defence organisation actually fell by 8%. The fact that the Minister does not get this point is compounded by the fact that he did not address the annual PDFORRA conference. That was a bad decision. 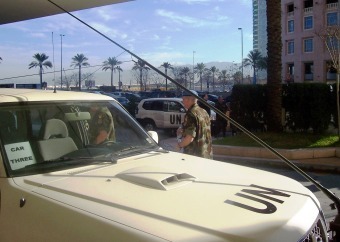 It was his first opportunity to address the soldier’s representative organisation and he opted to send his Junior Minister while he and his Secretary General heading off to an international conference instead. Willie Penrose’s resignation is about a lot more than just Mullingar Barracks; it is about a part time Defence Minister who fails to appreciate what he is doing, or is simply not bothered. Taoiseach Enda Kenny’s defence of his U-turn on capping the pay of Special Advisers set me to thinking. When they came into office just eight months ago the Taoiseach started out well. He announced the withdrawal of ministerial cars and garda drivers from most Cabinet Ministers and was seen striding to work onfoot with no merc or beemer in sight. He also said that he intended to take a similar approach to Special Advisers pay. The results there have been less impressive. Contrary to the declared intention to reduce the pay rates, it now emerges that almost 50% of them have been given exemptions and are now paid above the Principal Officer grade. The Taoiseach defends this saying that Advisers are still paid less than previously. Is that really so, Enda? 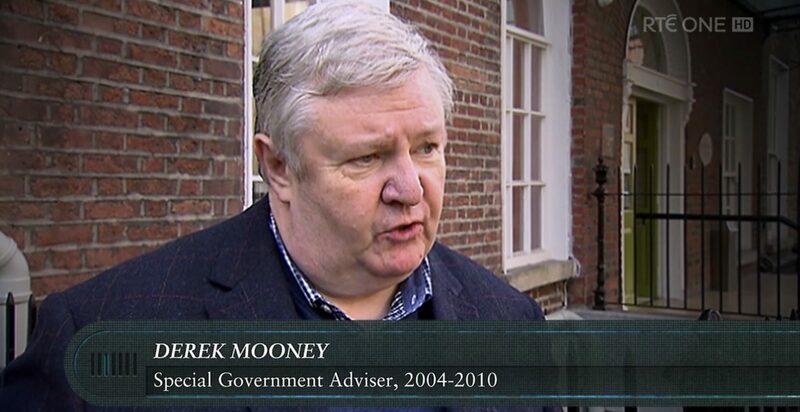 Back in October 2004 I was asked to become the Special Adviser to the newly appointed Defence Minister. It took me about five or six weeks to wind up my existing business and take on my duties as Special Adviser. Within a few days of taking on the position I sat down with the Department’s HR manager. He talked me through the Departments requirements and regulations. There were a number of forms to sign, covering a range of matters including security and related matters. I was required to produce the usual tax forms required of any new employee plus a Tax Clearance Certificate. He then produced my contract of employment. We discussed some of the provisions while I leafed through the document. Then we both went quiet at the same time. When it came to my pay rate the contract stated that I would be paid at the first point on the Assistant Principal (AP) grade. My understanding when I had accepted the post was that I would be paid at Principal Officer (PO) grade. The difference between the first points on the AP and PO scales was in the region of €25k. The first point on the AP scale was in or around €57K as best as I can recall now. I was a bit taken back by this and said as much to the HR manager. He explained that the default rate for my post in the department was AP grade unless I could show that my previous salary had been higher than that. I relaxed as I knew I should clearly show that my annual income over the previous few years was in excess of the AP scale. It did take a few weeks to sort out but the paperwork was finalised as my first year’s pay was set at the first point on the PO scale. I am not revealing anything new here. I am open about my salary as the then opposition used to ask parliamentary questions about my pay and expenses, and that of my colleagues across other Departments, at least twice a year. The replies were published regularly. Indeed I recall opening an issue of the Sunday Independent as I was queuing to board a Ryanair flight to visit my parents in Spain and seeing one of those replies featuring my name, photo and pay rate there. Worse still, I saw some people on the plane later holding copies of the Sindo and glaring at me. Those replies usually pointed to the fact that there were fewer advisers in the post 1997 FF/PD Governments than there had been in the 94-97 FG/Lab/DL one. About 30% fewer: as far as I remember. I make this point as the Taoiseach has sought to assert that paying 50% of their advisers at the first point on the PO scale is some big advance on the situation while I was there. The point on the scale is the same, though the scale has reduced. It was reduced by the last Government, not this one. As advisers we agreed to a 9% voluntary reduction in our pay in line with the voluntary cut in Ministerial pay, as well as the increased pension contributions and reductions in civil service pay rates across the board. Like many things this Government is doing they may want people to think it is different – the reality is that it is the same.